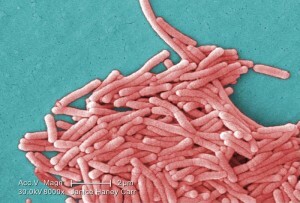 In a follow-up to the Legionnaires’ disease situation at Seattle’s University of Washington Medical Center (UWMC), hospital officials have reported a fourth case of the bacterial infection. Public Health – Seattle & King County says they were notified of the case on Friday. The patient, a forty-something male non-resident, was also hospitalized in the Cascade Tower where environmental tests have found Legionella; the patient’s exposure would have been prior to the identification of the bacteria, before protective measures were put in place. The patient is currently in satisfactory condition. Officials say he is at increased risk for infection due to an underlying medical condition. According to the Centers for Disease Control and Prevention (CDC), it is estimated that between 8,000 and 18,000 people are hospitalized with legionellosis in the United States each year.